3rd January 1463 was the last date on which anyone clapped eyes on one of medieval France’s greatest poets, François Villon. Banished from Paris for his crimes, he left the city never to be seen again. François Villon’s career is shrouded in mystery, and his life presents an interesting parallel with that of a near-contemporary in England, namely Thomas Malory. Both writers made substantial contributions to the literatures of their respective countries while pursuing lives of crime that nearly got them hanged. François Villon was probably born in 1431. Despite his undoubted talents as a poet he became a member of a criminal gang that roamed the countryside robbing and killing. 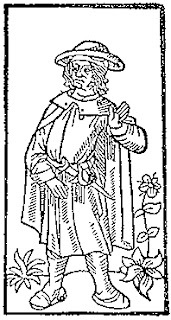 In 1455 Villon was found guilty of killing a priest but obtained a royal pardon. After that he is known to have been imprisoned at least three more times. In 1463 he was involved in a fight in a Paris street in which people were hurt. The sentence of the court was he should be “hanged and strangled” but, after he had been tortured, his sentence was commuted to banishment for life, and that is where the known facts about his life come to an end.